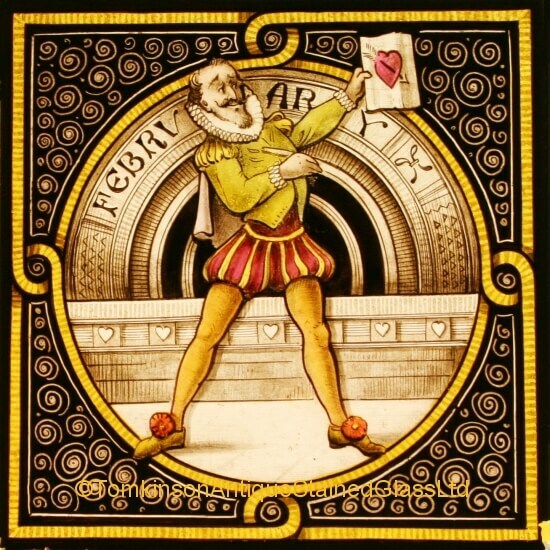 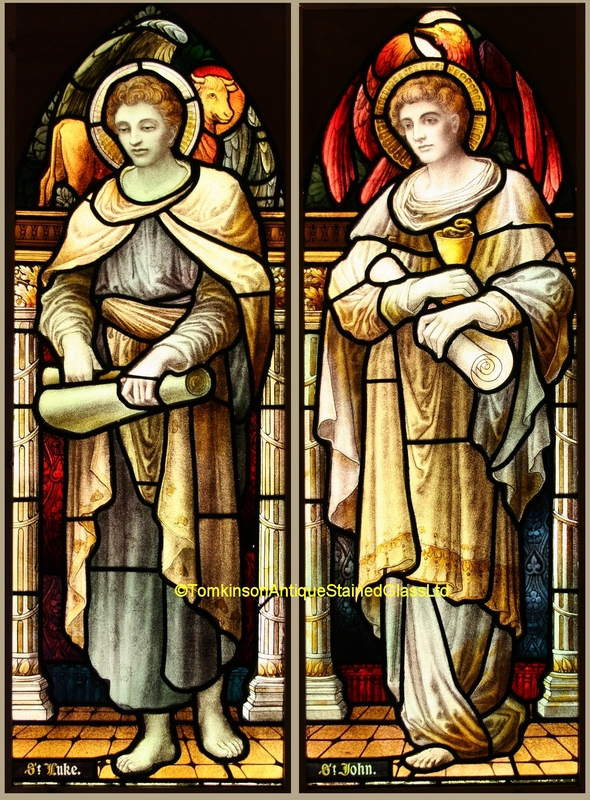 Left window is Gospel writer and evangelist St Luke, holding a scroll and above his head is his symbol of a winged Bull. 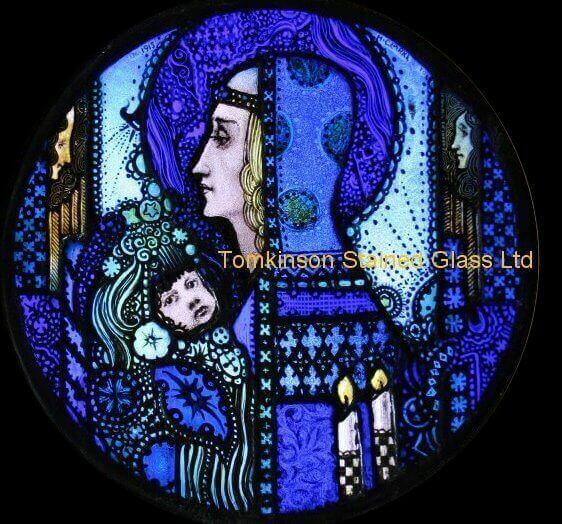 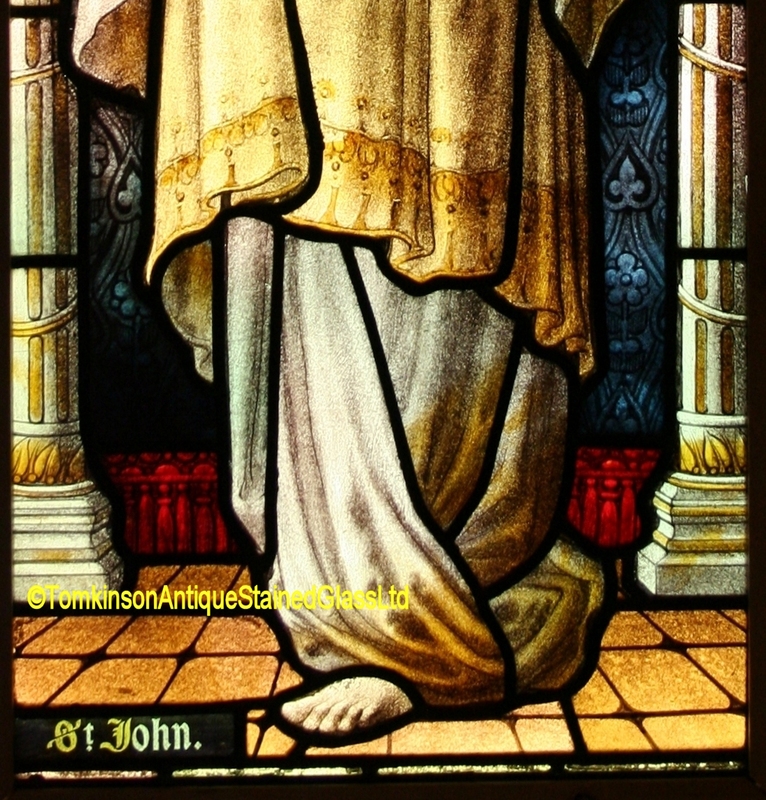 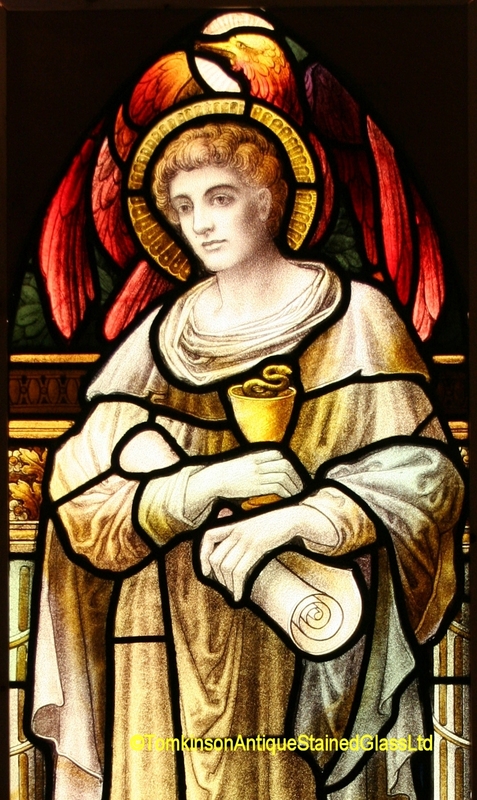 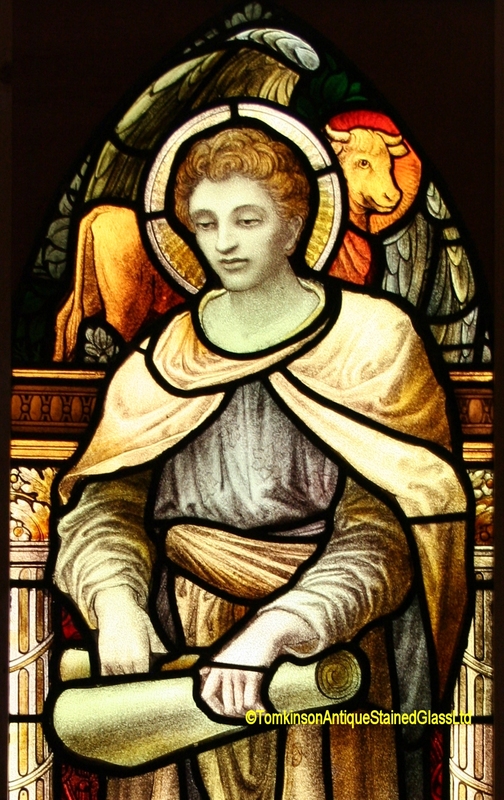 Right window is St John the Evangelist, holding a chalice and above his head is his symbol of an Eagle. 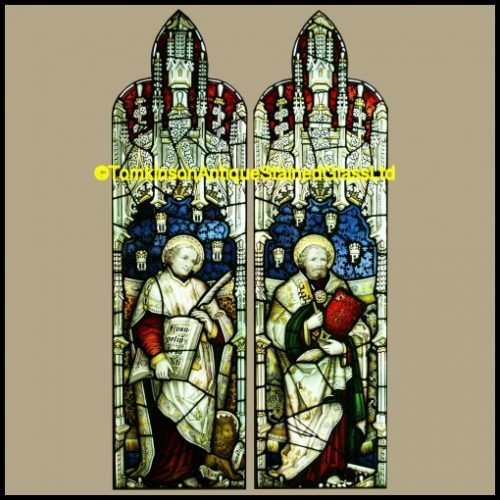 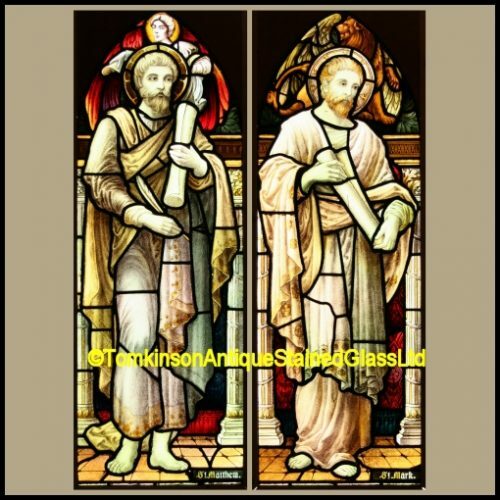 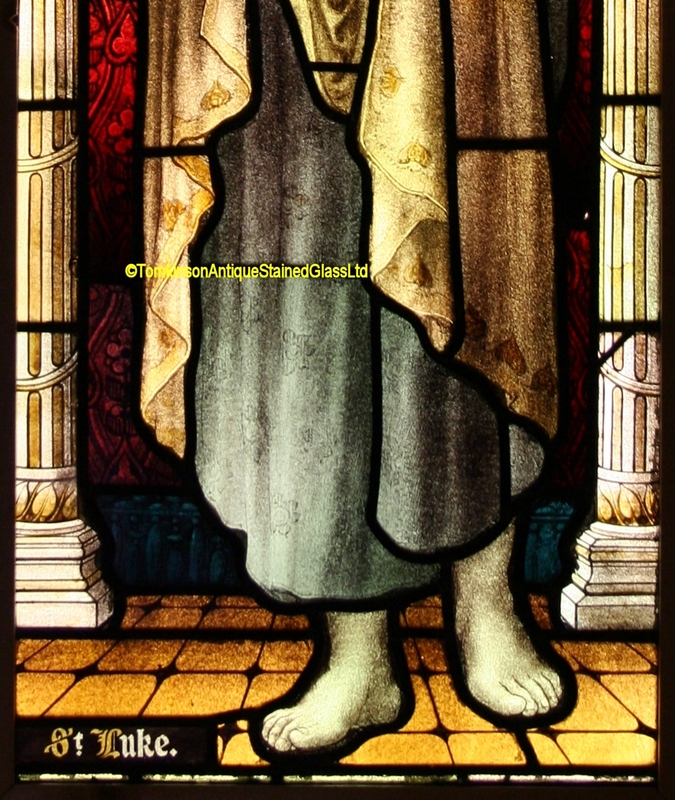 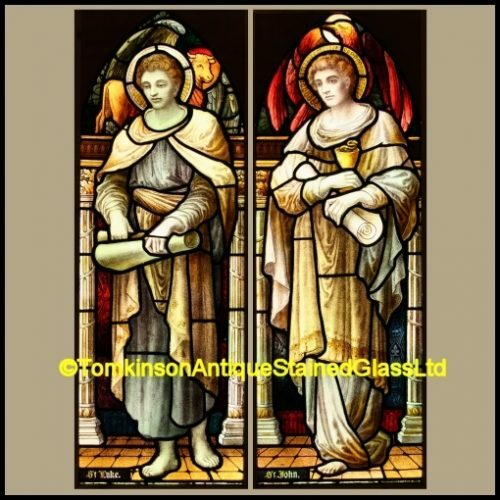 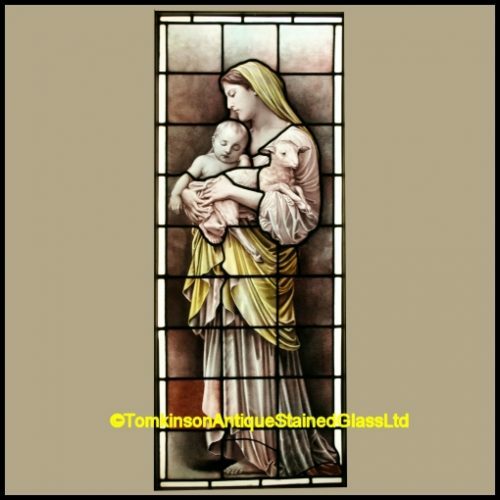 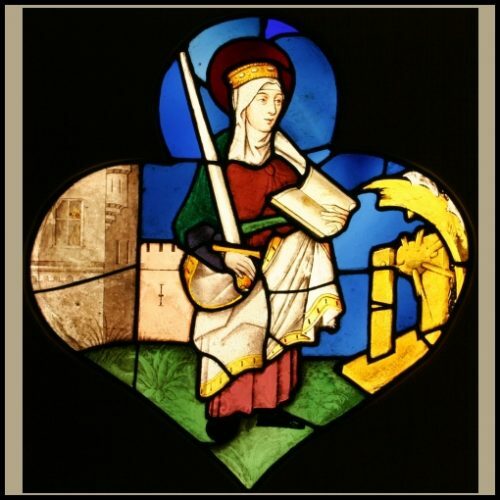 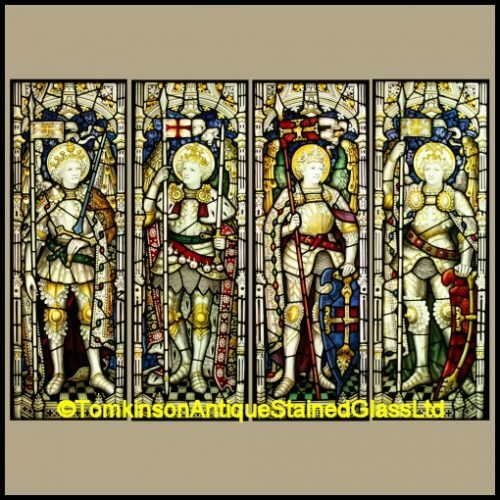 Ref: Rel349 Category: Antique Religious Church Windows Tags: church window, Gothic, lancet window, Pair, saint, Samuel Evens & Co.